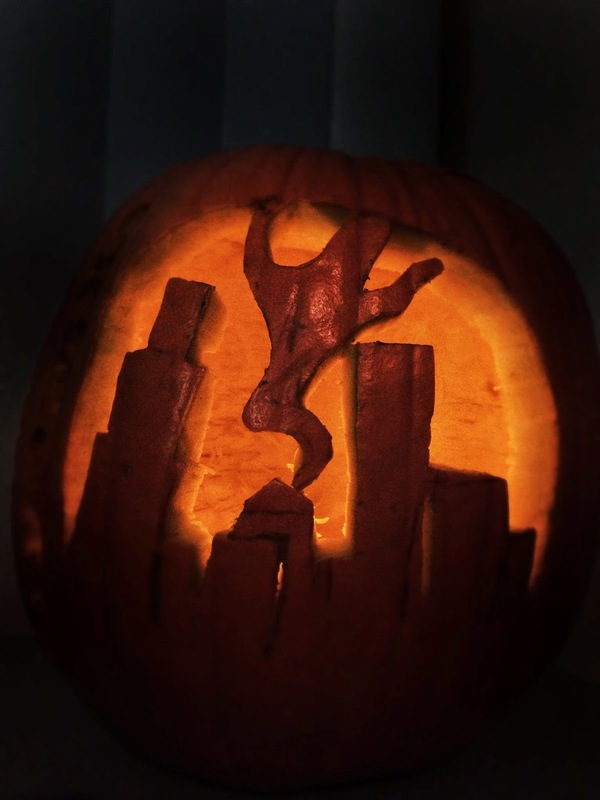 Wondering what recipe this pumpkin inspired? 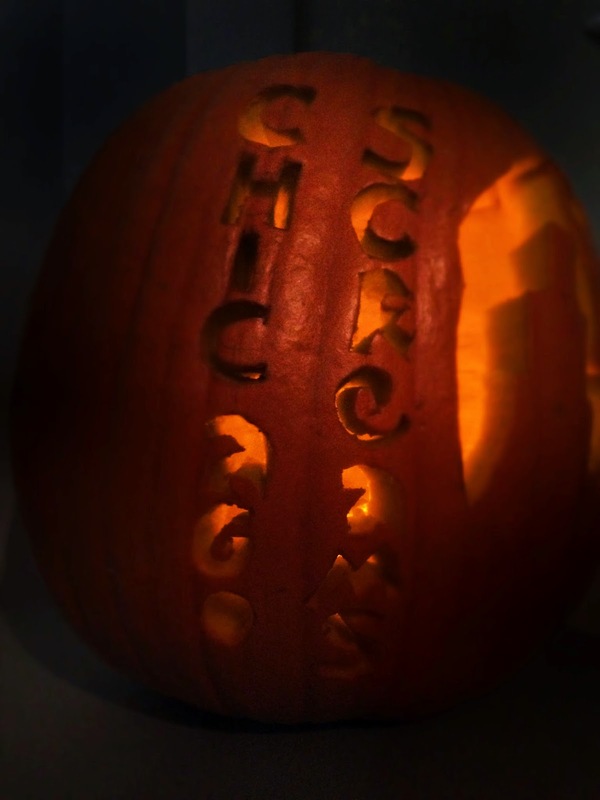 It's not deep dish pizza flavored pumpkin seeds. No, this time we went sweet instead of savory. The book Chicago Screams, Book 1 of the teen supernatural series Ghostly Mostly, begins an adventure that will take the series heroes on a cross-country journey through the states of Old Route 66. Epic, supernatural adventure on the all-American Mother Road. 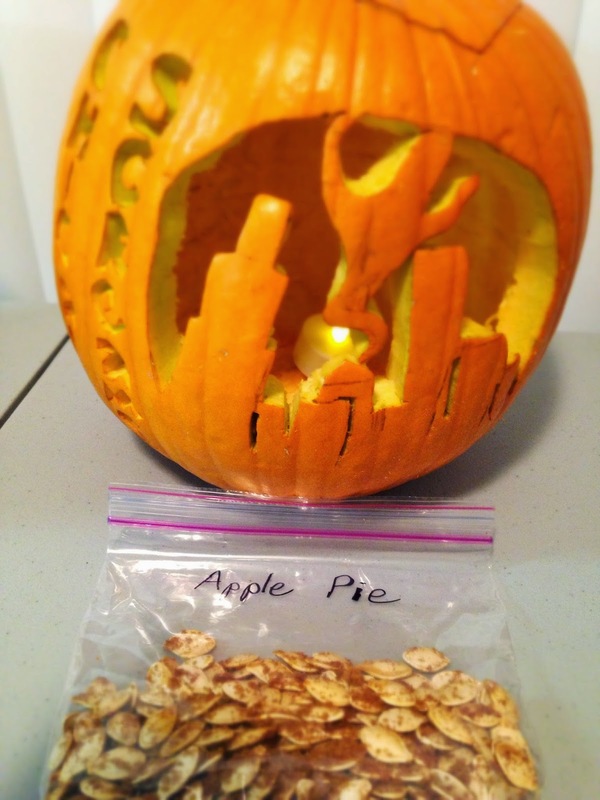 For the pumpkin seeds, we wanted all-American flavor, like Mom, baseball, and apple pie. Two out of three of those things are inedible, unless you're a zombie, in which case only baseball is off the menu. 1. Gut pumpkin. Separate seeds from the stringy bits. Rinse in water. Place seeds, single layer, on paper towels to dry overnight. By letting the seeds dry overnight, you insure a great crunch when you roast them. 3. Place sheet of parchment paper on cookie sheet. 4. Place dry pumpkin seeds in bowl. Drizzle with extra virgin olive oil; use just enough for the seeds to appear glossy but not so much they're wading or swimming. 5. Spread pumpkin seeds, single layer, on cookie sheet. 6. 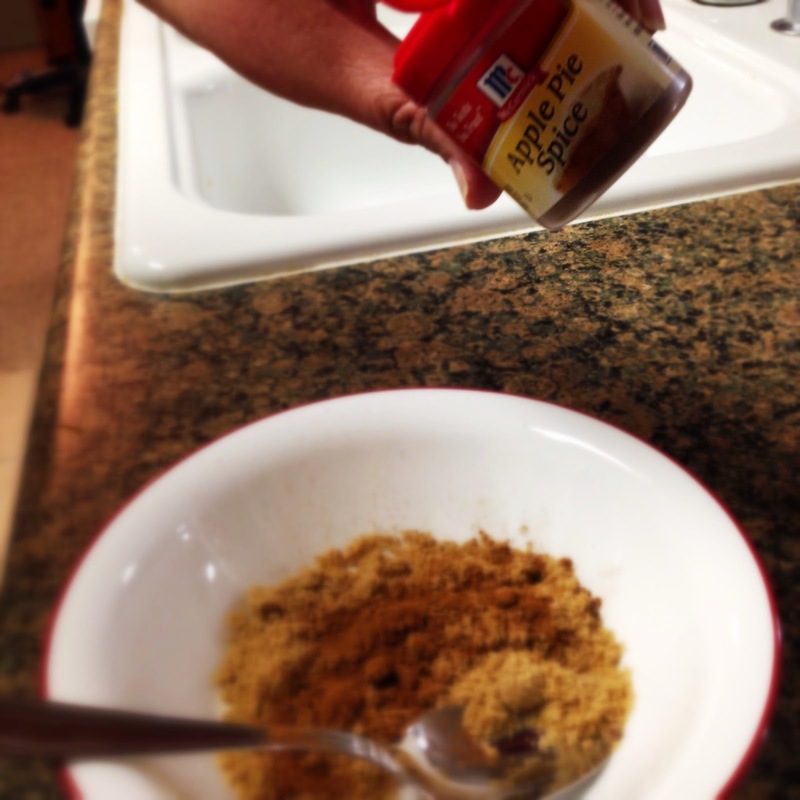 Top with a handful of brown sugar and generous sprinklings of Apple Pie spice. 7. Roast pumpkin seeds for 10 minutes then check them. Bake in 2 minute increments until seeds just begin to turn golden brown and brown sugar is caramelizing (melting) on some seeds. A sweet snack that smells incredible while it's baking. Enjoy!